American writer and journalist Jean Hersey once wrote that “June is the gateway to summer”, and warm summer afternoons call for light, breezy fashion. Because June fashion features looser silhouettes, prints are a major player when it comes to grabbing attention. The best part about the fashion featured in this month’s article is that all pieces are comfortable and cute enough to transition from a daytime outfit to a night out with friends. I feel the need to start this paragraph off with a disclaimer that I have an irrational hatred of polka dots, most likely due to how annoyingly perfect they are. Which is why I was completely overjoyed to find a dotted print I actually liked, because the dots on this print are not symmetrical or even. And not to be dramatic, but this is my favorite item of clothing I’ve ever owned in my entire life. In fact, I’m wearing right now as I write this article. 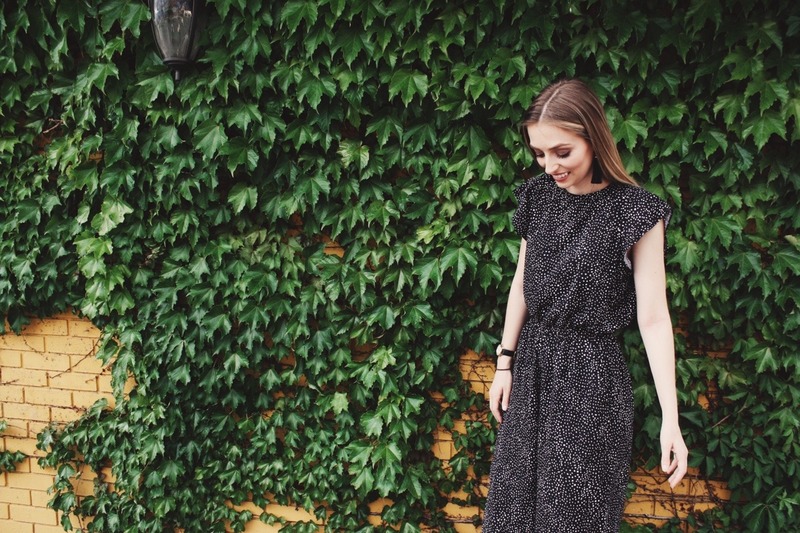 If you don’t own a jumpsuit, you’re going to want to run, not walk, to the nearest store and pick one up immediately. 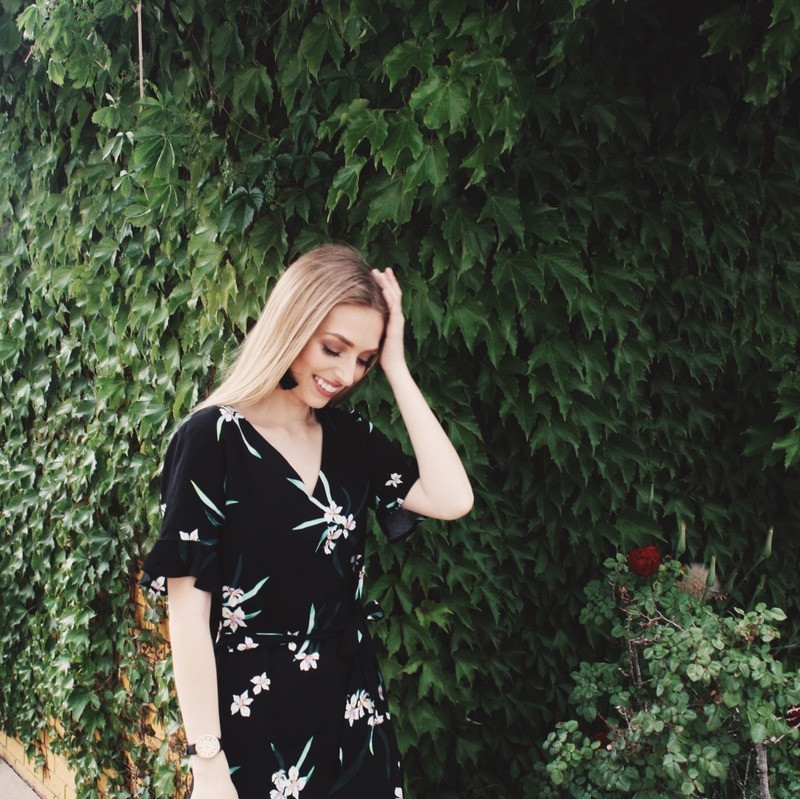 Jumpsuits are the perfect addition to your summer wardrobe for a variety of reasons, namely because they’re currently on trend while still being incredibly comfortable. 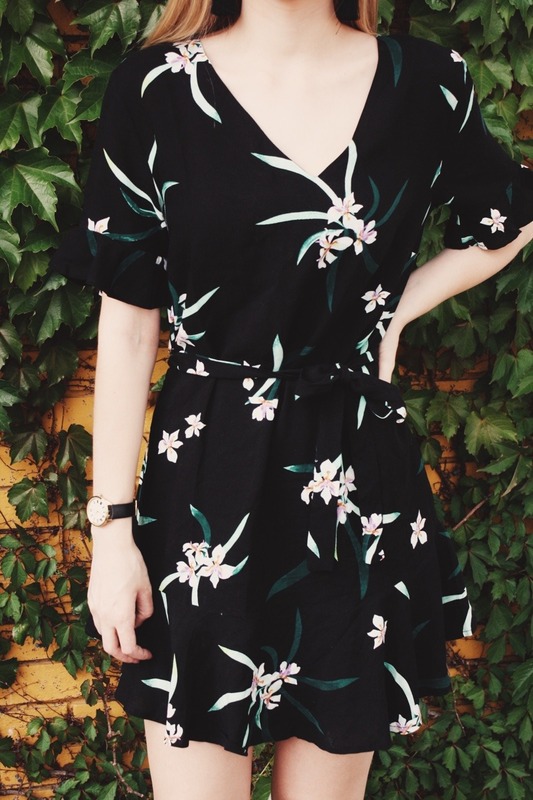 This specific jumpsuit has a particularly airy design, which is perfect for keeping cool when the temperatures rise, while still having a cinched elastic waist to accentuate your figure. Even better, it has POCKETS which can comfortably fit your phone and wallet. Need I say more? I could stop the whole article right here. Jungle and tropical prints dominated the shopping racks in summers past, but now they’re starting to seem a little trite. Leafy green lovers shouldn’t fear; the solution is opting for darker vines and flowering botanical prints instead. This dress checks both boxes. The cut of this dress is open and breezy, while definition and flair is added by the slight ruffling detail on the edges of the sleeves and hemline. The tie at the waist allows the wearer to choose whether they want to cinch and define their waistline, or create a loose knot to maintain a flowing outline. It’s an excellent choice for dressing up or just hanging out around town. 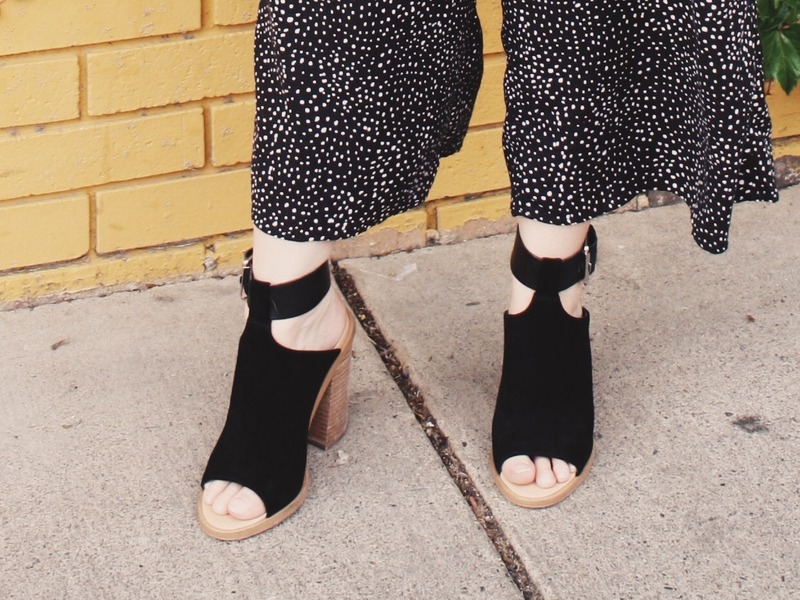 No outfit is complete without the right pair of shoes, and I was on a mission to find the quintessential pair to compliment both the dress and the jumpsuit. That meant sticking to a simple color and letting the design of the shoe grab all of the attention, which I why I landed on these Marc Fisher heels. The height is just enough to dress up both outfits, and the open heel/toe design is fun enough to wear on a night out. They’re surprisingly comfortable as far as heels go, so you might catch me wearing them with almost any outfit. And that’s the end of June’s Fashion Forecast! As Vera Wang said, “A woman is never sexier than when she is comfortable in her clothes.” Seeing as in I want to live in my jumpsuit for the rest of my days, I’d have to agree with her.